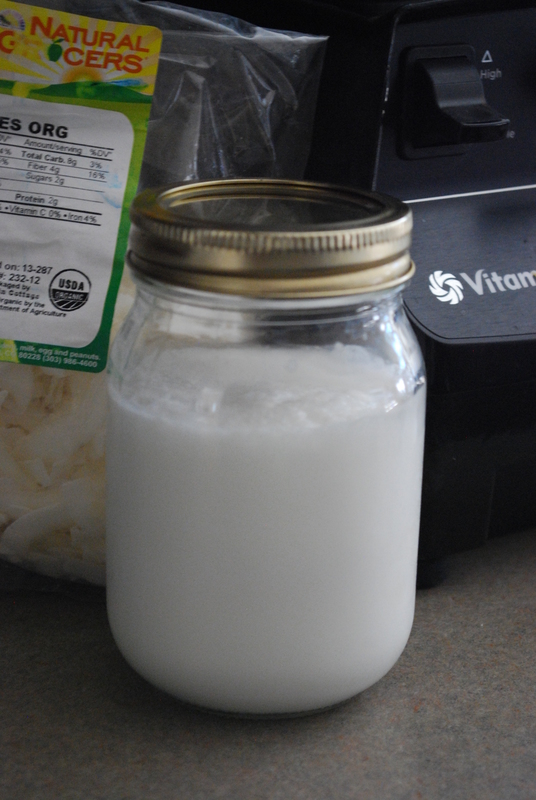 This is one of those things where you say, ‘That’s all it takes?’ Yes, making your own coconut milk, like almond milk, is really easy. It only involves two ingredients and a blender. What stemmed this post, was when I was hanging out around the Vitamix demo at Costco last week and was talking to a crunchy mama I had just met (don’t ask how). My Vitamix was a hand-me-down from my parents, so I never really stopped to see what all could be made with it. Granted, I do have the recipe book that comes with it, but I mainly use it for smoothies or ‘blender brownies.’ It wasn’t until I was telling the nursing mama, who cut out dairy to help with her son’s colic, how you could easily make almond and coconut milk in the blender. She was surprised and eventually bought a Vitamix. I’m not sure if it was because of me or the awesome basil, kale, and fruit sorbet the demo guy made, but I think I helped. Now you may say, but I don’t have a Vitamix, which is fine, just use what you have. Several bloggers use their Ninja or Nurti Bullet, so if you don’t want to fork out the dough for the Vitamix (it is a good investment), you can still do this. UPDATE: I read that you can put the coconut in a coffee grinder for blending and skip the straining step! 1. Pour water into blender. Add coconut. 2. Blend for 3 minutes or until desired consistency is reached. 3. Strain in milk nut bag into a glass container. 4. Chill or serve immediately. Keep it in the refrigerator for up to 4 days. Note–This milk is not thick like the canned kind since it doesn’t have guar gum. If you want to buy canned, I suggest this brand. 1. Place ingredients into the Vitamix container in the order listed. 4. Blend for 3 minutes or until desired consistency is reached. Strain in cheese cloth. Chill or serve immediately. 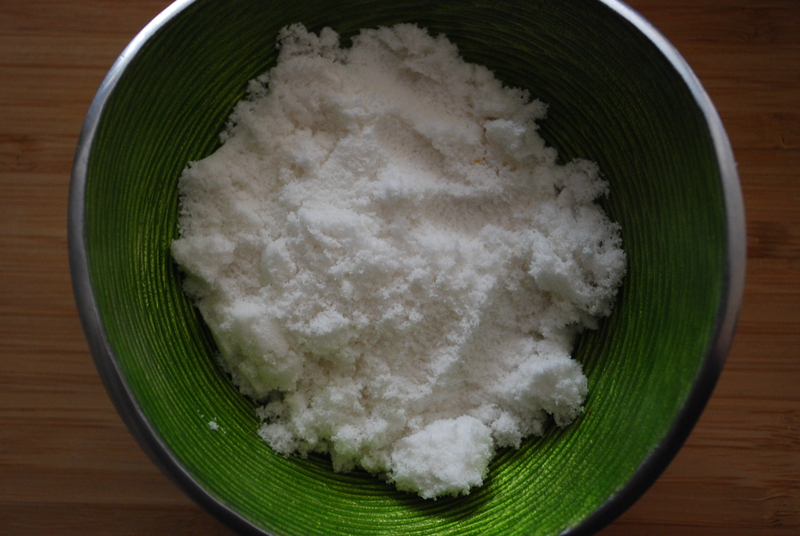 After you strain the milk, you can place the coconut ‘pulp’ in your dehydrator or on the lowest setting of your oven to dry out and turn into coconut flour. 1. Place pulp in dehydrator on the Fruit Roll Sheet and scatter thinly. If using an oven, place on parchment paper on a baking sheet. 2. Set temperature to about 130°F on the dehydrator (which is what I use for fruits, so I have them going at the same time). For the oven, use the lowest setting, and prop door open if you can’t get yours that low (the lowest mine goes is 170°F). 3. Check about every half hour to hour and break it up between your fingers to make sure it all gets dried out. 4. After the pulp is dried out, put it in small batches into a coffee grinder and pulse for finer flour. Store in refrigerator to keep it fresh. 1. Put desired amount of coconut flakes or shreds into blender or processor and blend until the consistency of nut butter. 2. Store in glass container in your pantry. 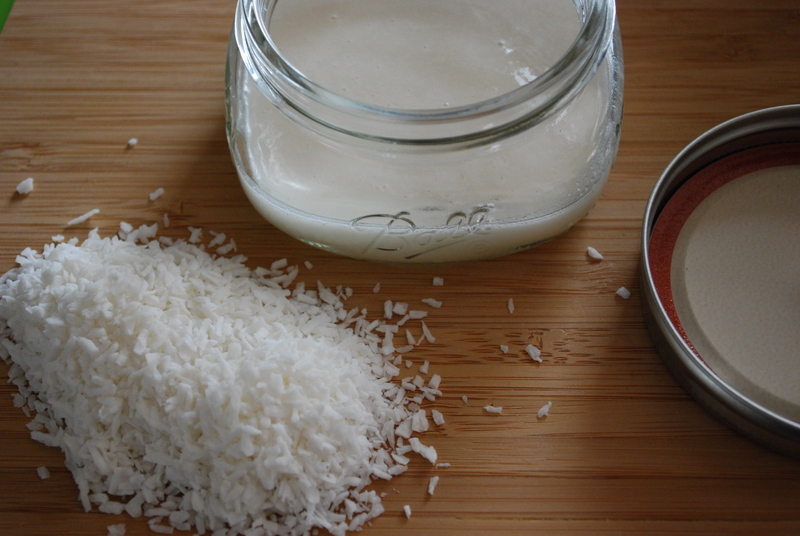 Note–You can eat coconut butter as is or use it in recipes. See? It really is that easy! I have my dear friend, Casey, to thank for guilting me into making my own and saving some dough. I just have to make sure I stay stocked up with dried coconut so I can make it whenever I like. 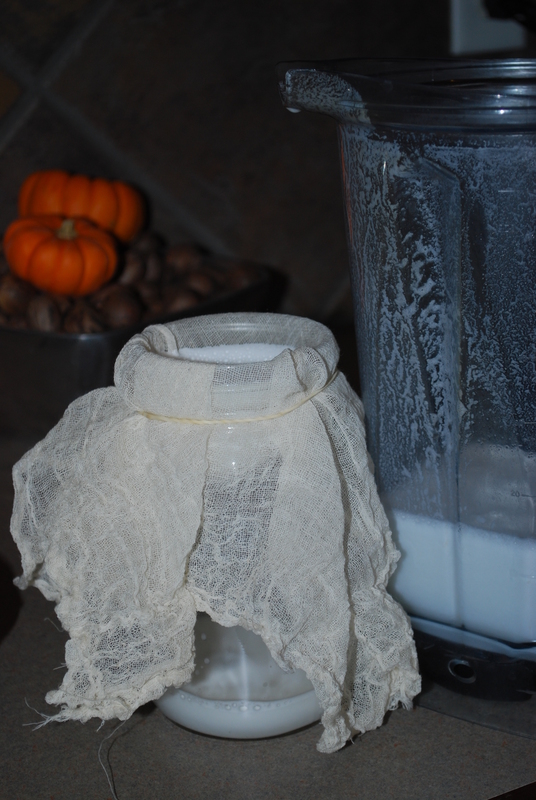 Do you make your own milks? Are you dairy-free or even thinking about it for health reasons? how long can I keep coconut my homemade coconut flour in the fridge? I made some 4 months ago and put it in the fridge. is it still safe to bake with? Totally! I’ve had some in there for probably over a year. I don’t think it can go bad-taste it if you aren’t sure.